A course of antibiotics is designed to kill bacteria. Unfortunately, antibiotics do not discriminate between ‘bad’ or pathogenic bacteria and ‘good’ and beneficial bacteria. That can have adverse effects on your whole immune system. Any type of major surgery can also have an adverse effect – stressing the body and suppressing the immune system. It can take a few weeks to several months for the immune system to recover fully from either surgery and/or anaesthetics. During this period, you are inevitably more prone to infections. So it makes sense to boost your immune system when you become ill – or have been ill.
A strong immune system depends to a significant extent on the number of your white blood cells – especially Natural Killer cells, neutrophils and macrophages. These white blood cells are like a permanently patrolling, rapid response guard that looks out for incoming enemies – in this case viral, bacterial and fungal threats. Read more → What are neutrophils, macrophages and Natural Killer cells? 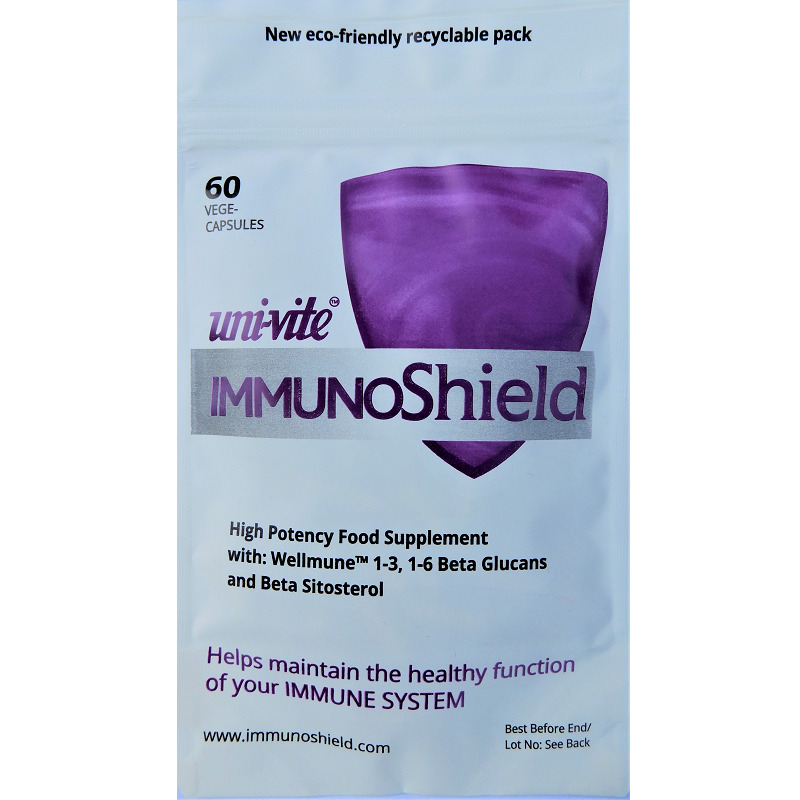 A natural compound, called 1-3, 1-6 beta glucans, ‘primes’ your innate immune system. It works by increasing the number and activity level of the white blood cells. A heightened activity results in more effective innate immunity, which then fights actual threats. These threats include flu or cold viruses, some respiratory tract infections, TB (tuberculosis), pneumonia, and bacterial infections like chlamydia, E. coli, salmonella or C. difficile. By far the best researched form of 1-3,1-6 beta glucans is WellmuneTM from Kerry Group, with over £120 million of clinical trial research behind it. Beta glucans can be derived from the cell walls of certain plants like shiitake mushrooms, or, in the case of WellmuneTM, from a form of baker’s yeast. These are then purified so that they cannot cause any allergy reaction. When the Canadian Military tested some 100 potential immune boosters (even against radiation), WellmuneTM came out as number 1 for effectiveness. ImmunoShield, containing Wellmune beta glucans, is proven safe to use in the face of both an incipient problem – for example the onset of a sore throat – or on a continuous basis. Safety is an important issue, because the immune system can be over-stimulated. That can lead to what is called a ‘cytokine storm’ – where the immune system turns on itself. Echinacea, for example, has an undoubted immuno-modulatory effect, but some health writers have expressed concern that continuous or over-use of it could lead to this. Beta glucans work in a completely different way, so they are completely safe on a continuous long-term basis. Beta glucans are also being used at the Brown Cancer Center in Kentucky as ‘adjunct therapy’ – therapy given in addition to primary therapy to maximise its effectiveness.